Hollywoodnews.com brings unique and fresh entertainment news to the industry and world community. Our team of Hollywood insiders bring to the fans entertainment news about awards, fashion, lifestyles, movies, music and television, access to red carpet and live events, and one-on-one in depth interviews with stars and celebrities. In addition, we are able to take you behind the scenes – backstage, on set, private parties and many other inside pathways of Hollywood. Hollywoodnews.com was founded by Internet pioneer, Hollywood Film Awards® founder, and “New York Times” bestselling author (“Husband, Lover Spy,” and “Opening The Doors To Hollywood”) Carlos de Abreu. Carlos decided to launch a new online destination for entertainment fans, where there would be insightful and cutting edge news with a perspective on the inside track of Hollywood. Our team is comprised of both well established Hollywood insiders and emerging editors, journalists, and photographers. 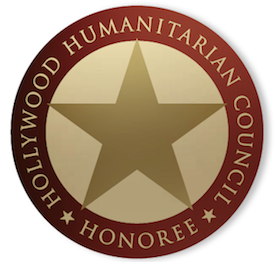 WANT TO VOLUNTEER FOR HOLLYWOODNEWS.COM? 2. FRONT/BACK END SITE MAINTENANCE: Volunteer must have experience with WordPress and coding – Photo galleries, widgets, audio/video plugins. Working knowledge is a major plus. 3. NEWS MANAGEMENT WRITING: Online writing and editing. Volunteer should be familiar with the following: WORDPRESS, FTP, PHOTOSHOP and HTML.